Parkminster United Church turned graffiti that was meant to attack their LGBTQ-friendly stance into a component of their new mural that celebrates inclusiveness. Parkminster United Church in Waterloo, On.t turned graffiti that was meant to attack their LGBTQ-friendly stance into a component of their new mural that celebrates inclusiveness. 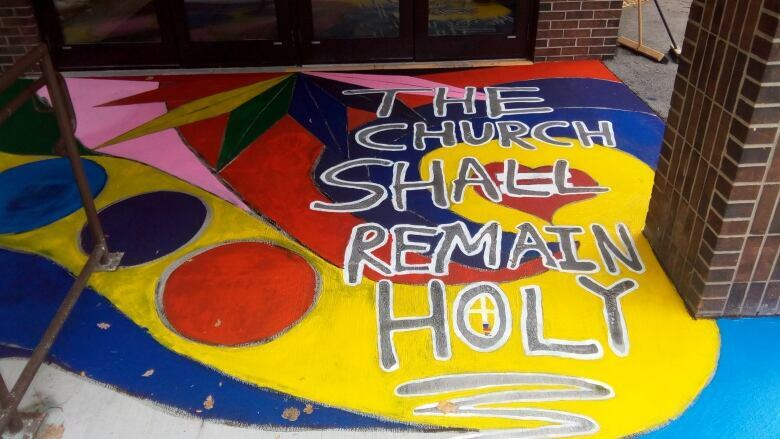 The graffiti found on the doorstep was meant to attack their LGBTQ-friendly stance, but is now part of a mural that celebrates inclusiveness at the church.